Cascade Corporation celebrates 2018 with a milestone anniversary. 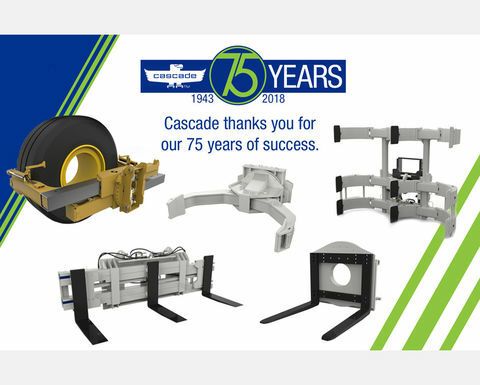 Cascade thanks customers & employees for 75 years. First opened in 1943 as a small machine shop in Portland, Oregon, Cascade has since grown into a global operation with manufacturing plants, distribution centers and offices around the world. We are grateful for the support and contributions from both employees and customers that has made it possible for Cascade to reach this milestone anniversary. "I'd like to sincerely thank everyone who has been a part of the Cascade story," says Cascade CEO Andy Anderson. "The collaboration and growth Cascade has seen over the years are due to the contributions of devoted and innovative people across the globe." Currently, Cascade employs over 2,100 people in 21 countries around the world. This global reach gives Cascade teams the unique ability to coordinate operations across their facilities worldwide to meet customer's needs anywhere, anytime. Quality teamwork is the foundation of Cascade's success, enabling employees to collaborate on this international stage while providing local service and support. 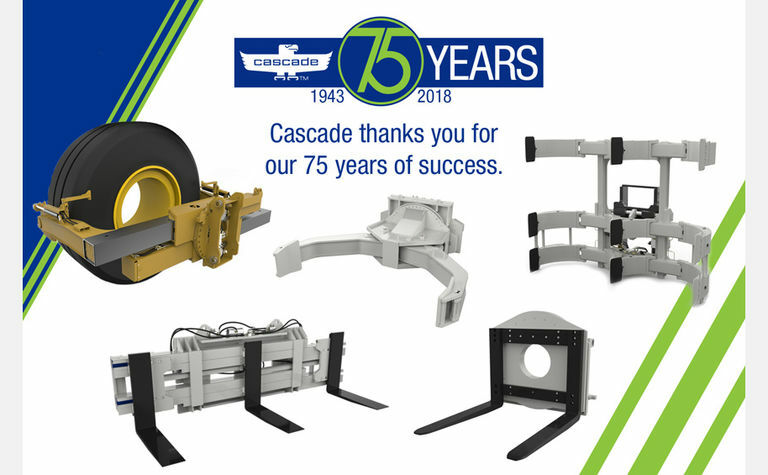 Cascade's extensive 75-year history has not only allowed for global growth, but also the ability to handle complex projects through the decades. Cascade's global network recently rose to the challenge in order to help a customer, who needed customized attachments for their specific application with Automated Guided Vehicles (AGVs). 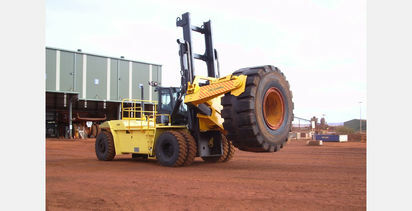 Cascade U.S. sales teams worked directly with the customer at their U.S. site to determine specific needs and use cases. At the same time, Cascade Europe engineering teams worked with the European AGV manufacturer to ensure that attachment specifications integrated seamlessly with the vehicle, resulting in a product specifically designed for the customer's application while offering the easy plug-and-play capabilities featured on all Cascade AGV attachments. This hands-on investigation and planning, together with the expertise of Cascade's global engineering, customer support, and product management teams, allows Cascade to deliver the high-level performance the customer required. Most importantly, Cascade would also like to thank all of our customers who have made it possible for us to achieve this level of success. Customers are the core of Cascade's philosophy, and we look forward to many more decades of providing unparalleled service and industry-leading solutions. "Cascade succeeds because we go above and beyond," says Cascade President & COO Davide Roncari. "If our customer has a need, we'll find a way to meet it, even if it requires developing or inventing something completely new." One of Cascade's guiding principles is that of continuous improvement. We are excited to mark this special anniversary with a drive to grow our product offerings and continue supplying innovative material handling solutions that address growing industry trends like energy efficiency, damage reduction solutions, AGVs, telematics and more. "I have a tremendous amount of appreciation for our employees' dedication and commitment to providing customers with the very best products and services," says Anderson. "As we look to the future of Cascade, I know that this commitment and passion will continue to serve us well for the next 75 years." 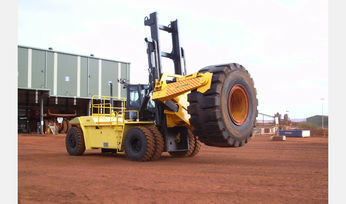 Cascade Corporation is a global leader in the design and manufacturing of materials handling equipment, including attachments, forks and related technologies for the lift truck, construction and mining industries. Cascade Corporation's quality and customer-driven solutions allow it to thrive.